On October 6, 1993, Michael Jordan shocked the basketball community by announcing his retirement, three months after his father’s murder. The Bulls were then led by Scottie Pippen, who established himself as one of the top players in the league by winning the 1994 All-Star MVP. He received help from Horace Grant and B.J. Armstrong, who were named to their first all-star games. The three were assisted by Cartwright, Perdue, shooting guard Pete Myers, and Croatian rookie forward Toni Kukoč. Despite the Bulls winning 55 games during the 1993–94 season, they were beaten in seven games by the Knicks in the second round of the playoffs, after a controversial foul call by referee Hue Hollins in game 5 of that series. The Knicks eventually reached the finals that year, but lost to the Houston Rockets. The Bulls opened the 1994–95 season by leaving their home of 27 years, Chicago Stadium, and moving into their current home, the United Center. In 1994, the Bulls lost Grant, Cartwright and Scott Williams to free agency, and John Paxson to retirement, but picked up shooting guard Ron Harper, the seeming heir apparent to Jordan in assistant coach Tex Winter’s triple-post offense, and small-forward Jud Buechler. The Bulls started Armstrong and Harper in the backcourt, Pippen and Kukoc at the forward spots, and Perdue at center. They also had sharpshooter Steve Kerr, whom they acquired via free agency before the 1993–94 season, Myers, and centers Luc Longley (acquired via trade in 1994 from the Minnesota Timberwolves) and Bill Wennington. However, they were struggling during the season, on March 18, 1995, they received the news that Michael Jordan was coming out of retirement. He scored 55 points against the Knicks in only his fifth game back, and led the Bulls to the fifth seed in the playoffs, where they defeated the Charlotte Hornets. 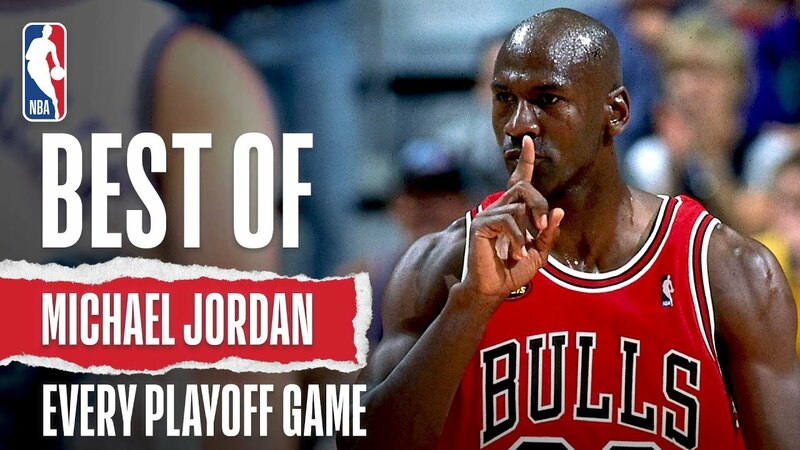 However, Jordan and the Bulls were unable to overcome the eventual Eastern Conference champion Orlando Magic, which included Horace Grant, Anfernee Hardaway, and Shaquille O’Neal. When Jordan returned to the Bulls, he initially wore No. 45 (which was his number while playing for the Birmingham Barons, a minor-league affiliate of the Chicago White Sox). He chose the No. 45 because his older brother Larry wore that number in high school. Michael wanted to be half as good as his brother so he chose 23 which is half of 45 (22.5) rounded up. However, Jordan switched back to the familiar 23 before game 2 of the Orlando Magic series. In the off-season, the Bulls lost Armstrong in the expansion draft, and Krause traded Perdue to the San Antonio Spurs for rebounding specialist Dennis Rodman, who had won the past four rebounding titles, and who had also been a member of the Detroit Pistons’ “Bad Boys” squad that served as the Bulls’ chief nemesis in the late 1980s.